There are two 22pcs Bbq Tools Set for choice.The BBQ Tools Set including corn holders,skewers, Cleaning Brush, basting brush, tongs, slotted spatula, bbq fork, bbq knife,Kitchen Knife. Looking for ideal BBQ Tools Set with Knife Manufacturer & supplier ? We have a wide selection at great prices to help you get creative. 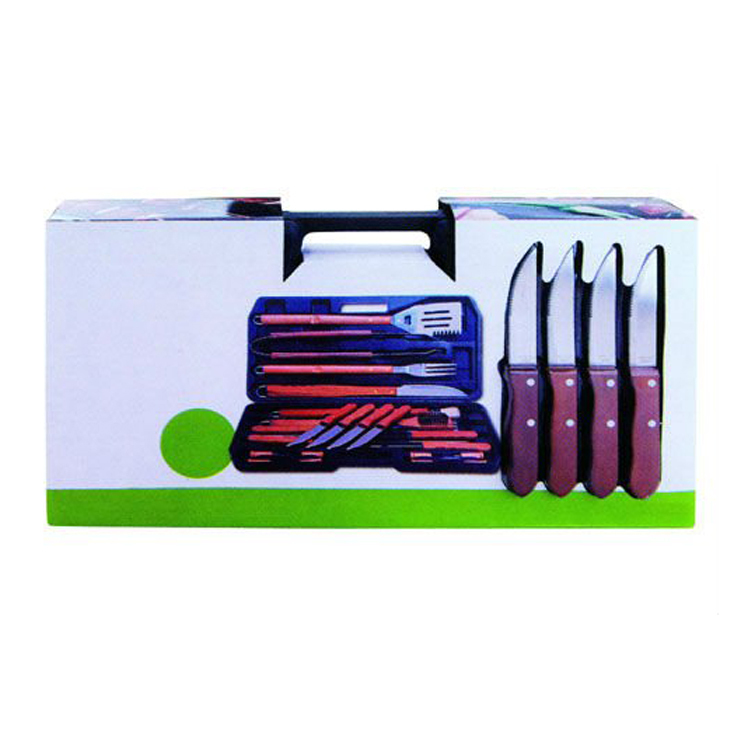 All the 22pcs Bbq Tools Set with Knife are quality guaranteed. 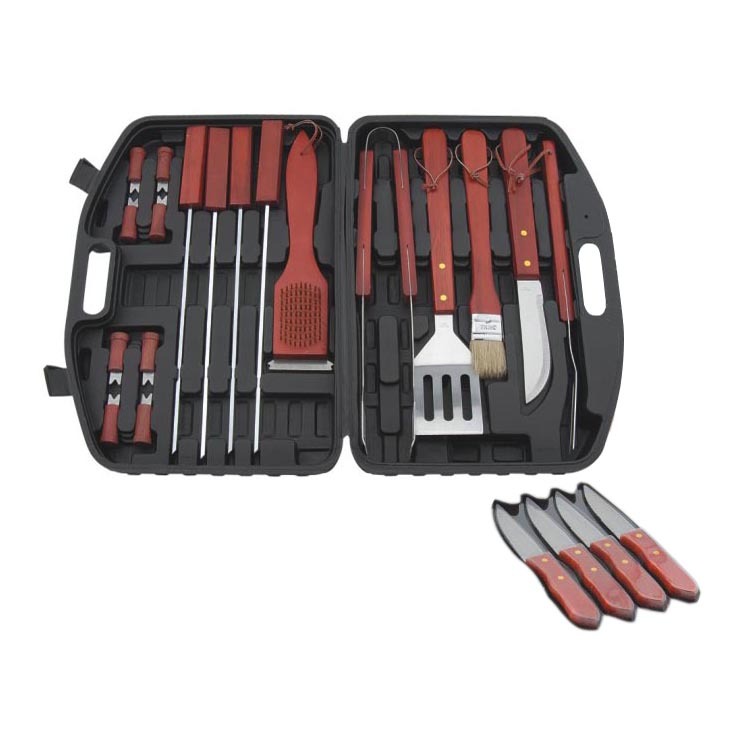 We are China Origin Factory of 22pc Bbq Tools Set with Knives. If you have any question, please feel free to contact us.